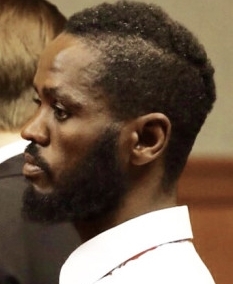 He had been beaten and kicked in the head, and bashed in the head with a piece of furniture in an assault that continued relentlessly for hours, police said in the arrest affidavit. But they were silent on what touched off the vicious attack. Of the three Muslim assailants, at least two have common Somali names – Mohamud Mohamed, 36, and Osman Sheikh, 31. 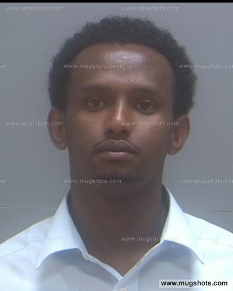 The third suspect is Abil Teshome, 23. Portland has been on the receiving end of a steady infusion of Somali refugees over the past 15 years, and Mohamed and Sheikh appear to have been part of that community, although no mention of their national origin has even been mentioned in the local media. Apparently it’s a “don’t ask, don’t tell” policy with regard to Somali refugees in Maine, said refugee watchdog Ann Corcoran. The U.N. has sent more than 110,000 Somalis to U.S. cities and towns as “refugees” since the early 1990s. The largest Somali community in the U.S. lives in the Minneapolis-St. Paul region of Minnesota, which also happens to be the nation’s biggest hotbed of jihadist recruitment. In April, U.S. Attorney Andrew Luger admitted “we have a terror recruitment problem in Minnesota” as he announced the arrests of six Somali men from Minneapolis who had repeatedly tried to board flights to Turkey where they planned to cross into Syria and join ISIS. Dozens of other Somalis have been arrested on terrorism-related charges, yet the U.S. State Department continues to import Somali refugees into the U.S. at a rate of 600 to 800 per month. Hundreds more are now coming from the jihadist capital of the world, Syria, even as persecuted Christians from that country are ignored by the Obama administration. Rep. Brian Babin, R-Texas, introduced the Resettlement Accountability National Security Act on July 29 in the House, which would halt all refugee resettlements until Congress can get a handle on the program’s financial impact and the risks to national security. Babin is still looking for his first co-sponsor of the legislation.